Thirty years ago today a group of pop singers and musicians were corralled into a studio in West London at the behest of Bob Geldof to record Do They Know It’s Christmas? It quickly became the UK’s best-selling single of all time (until surpassed in 1997) and, if only briefly, suggested that pop music really could change the world. This is the story of that day and how the track was put together at such short notice – the record was released just four days later. 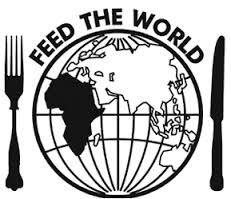 In Feed the World – The Band Aid Story you’ll hear from Bob Geldof, Midge Ure and others. This documentary was broadcast on BBC Radio 1 on 6 November 1994. It’s introduced and produced by Trevor Dann.